Lets start off by saying, Basil and Jig have all of the top ten hot rounds between them off the stick, but if we do it on handicap then everyone else gets a look in! Felix obliterated Tea Tree in the 2018 MM Round Robins to destroy poor Ian and Tim J. He did it with pure drives, irons and making heaps of one putts. He was 6 under handicap on the front nine holes, and amazing on the back as well until a last hole stumble with a triple bogey. A master class, and the hottest round in GWT history, as well as his lowest score ever. Cravo got hot at Smithton in the 2010 Wanderererer to take a huge lead vs Basil and Leroy. He got the job done entirely on the front – he was actually nine under his handicap after nine holes. 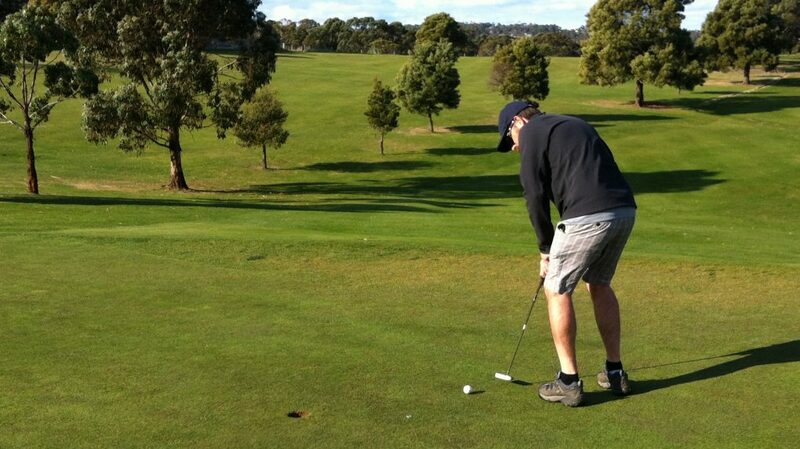 Similar method to Felix’s hot round inasmuch as there were heaps of cheeky one putts dropping from everywhere. Ian was solid on the front nine of the 2018 B’n’D at Huonville, with 18 stableford points, but then went nuts on the back with 23 points to break the scoring record for the B’n’D and record his lowest ever score off the stick. This was off the back of great driving and chipping and putting. Untouchable brilliance – Leroy shot his best score off the stick too but had to settle for 2nd place. Jig showed everyone how it was done at Cape Schanck, on the 2015 Wanderer. He monstered the course with 300m drives and immaculate play to shoot a 73 off the stick. The other boys, including greatest of all time Basil, could only marvel at the superb swordsmanship. Cravo took a mature strategy into the 2014 Orford B’n’D’, calmly surveying each hole and aiming at the furthest trouble off the tee. It paid off in spades, with pars and bogeys everywhere and his best score off the stick at the time. Cravo weather – cold wind and sideways rain – also helped make it even tougher for the rest of the field. At beautiful Portsea in the 2015 Wanderer, Felix had a day out, wisely hitting hybrids off the tee and backing that up with stunning iron play. This was all the more impressive as it was his second 18 for the day! Also could’ve gone much lower if the flatstick was behaving. No shame here for Leroy in losing to Ian at the Huonville B’n’D 2018, shooting his best score off the stick. Leroy started hot with par, par, bogey, birdie and kept it going, but couldn’t sneak quite enough subsequent pars and birds to catch Ian’s 5 under total. Still a momentous effort and the seventh best round in GWT history. Leroy was on fire at Llanherne in the 2016 MM round robins, calmly dispatching a couple of opponents and shooting a tidy 86 off the stick. Great off the tee, and very competent everywhere else as is his way. An injured Ian took on Bas in the inaugural MM Final at New Norfolk in 2012, and produced one of the greatest rounds in GWT History to claim the Title in a last hole nailbiter of a match. Booming 280m fade drives off the tees set him up in scoring positions, and he made enough of his chances along the way to beat the great Basil. Tim was the only Gent to bring his game along to Gents Cup II up North. He had an ok front nine at Quamby and was a few over handicap, but scorched the back nine with 8 under to record our first point in eight matches. Four pars, a bird and a few other things. Awesome, and saved our pants! A few Gents have shot under their handicap at Barny – Leroy, Cravo, Felix, Bas – and maybe someone else? Basil and Ian did better than that at Lost on the practice day one year, shooting 3 or 4 under, but unfortunately those rounds were not official comp rounds. Anyhow, 1 under your handicap is great golf at Barny and Lost Farm given there is so much potential for disaster out there. Posted on July 2, 2018 March 1, 2019 by Gentlepersons' World Golf Tour, Tasmania	This entry was posted in golf, Uncategorized and tagged #9under, #felixgolf, #GWT, #hot10rounds, #tasmaniagolf. Bookmark the permalink.